As the NBA regular season comes to a close, it’s time to start predicting who will be given the most prestigious awards that the league has to offer. While Sixth Man of the Year, Most Improved Player, Defensive Player of the Year, and more are still up for grabs, one award that isn’t is Coach of the Year. 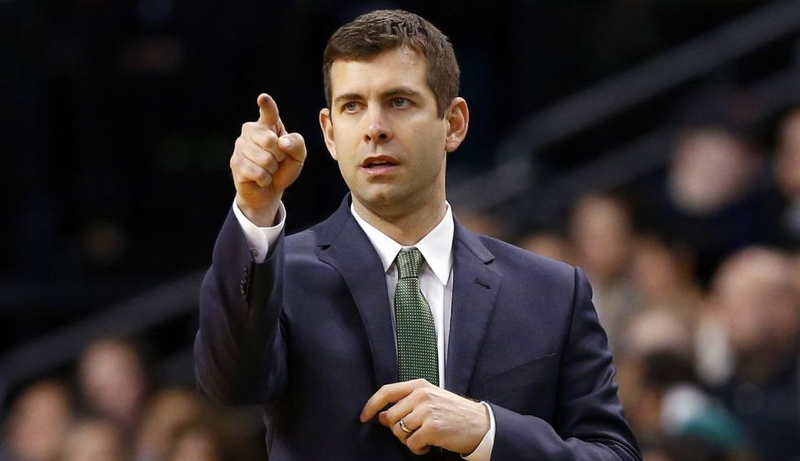 Brad Stevens has continued to impress and garner league-wide attention this season. After the Celtics revamped their entire roster in the previous offseason, many believed that this year would get off to a slow start while chemistry was being built and systems were being invented. These doubts were further strengthened when All-Star forward Gordon Hayward went down with a season-ending injury just five minutes into his debut. Injuries continued to plague the Celtics all season long, yet somehow Stevens found a way to take down the league’s strongest opponents. Despite all of the factors that tried to drag down Stevens and his team, the Celtics are just two wins away from having their best record under the young head coach. Upcoming matchups against the Chicago Bulls, Atlanta Hawks, and Brooklyn Nets should provide enough victories to claim this milestone with ease. Furthermore, the Celtics have consistently found a way to fight back into games that already seem decided, and come out on top. These comebacks are credited in part to the halftime adjustments and timeout advice that the 41-year-old genius has given. Don’t just take my word for it, though. Jaylen Brown—who is one of the few players retained from last year’s squad that won 53 games—had lots of praise for his coach. What I think separates Stevens from other coaches vying for the award is the small experience he has at the professional level paired with the consistent success. Gregg Popovich is one of the best coaches of all time, but has been blessed to keep a similar core of great players during his tenure. Unless San Antonio somehow becomes the powerhouse they once were, I don’t see Popovich winning the award again. Steve Kerr’s job could be done by anyone with some basketball knowledge, as proven by the Warrior’s 46-point win against the Phoenix Suns when Kerr allowed the players to coach themselves. Dwayne Casey has admittedly been impressive with the deadly backcourt of DeMar DeRozan and Kyle Lowry finally, but his inability to go far in the postseason should hurt his chances of winning Coach of the Year. I think the only other coach that could take it this year is Mike D’Antoni. He has been the mastermind of a Houston Rockets team that could finally take down the Golden State Warriors. However, he also has a deep roster where almost every player can shoot threes at a high rate. D’Antoni took home the award last year, which could also hurt his resume to win it again due to the NBA’s preference to help new faces be winners. Overall, Stevens has been impressive in every scenario imaginable. He has a bright future ahead of him, and his heroics, leadership, and attitude demonstrated this season is what will boost him ahead of the competition and allow him to be the winner of the much-deserved award.